Well it's the last month of the year as far as Bee Sewcial is concerned, as we're taking December off. 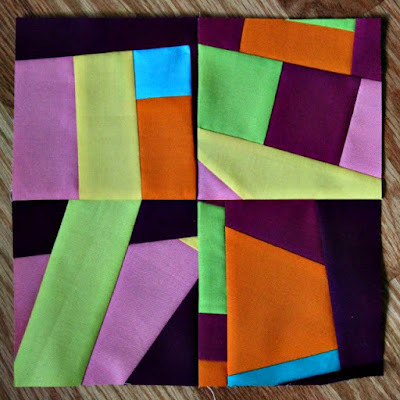 Leanne/shecanquilt asked for improv blocks with no negative space, maximalist, and all the colors. After 2 months of neutral minimalism, I think we were all pretty excited about Leanne's choice. 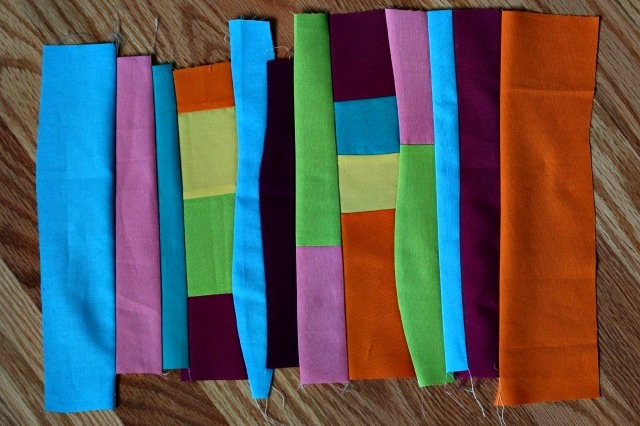 In the spirit of improvisation and knowing how some of my bee-mates are ruthless about using up their scraps, I sewed together all my left-over bits into a small bonus block for Leanne. 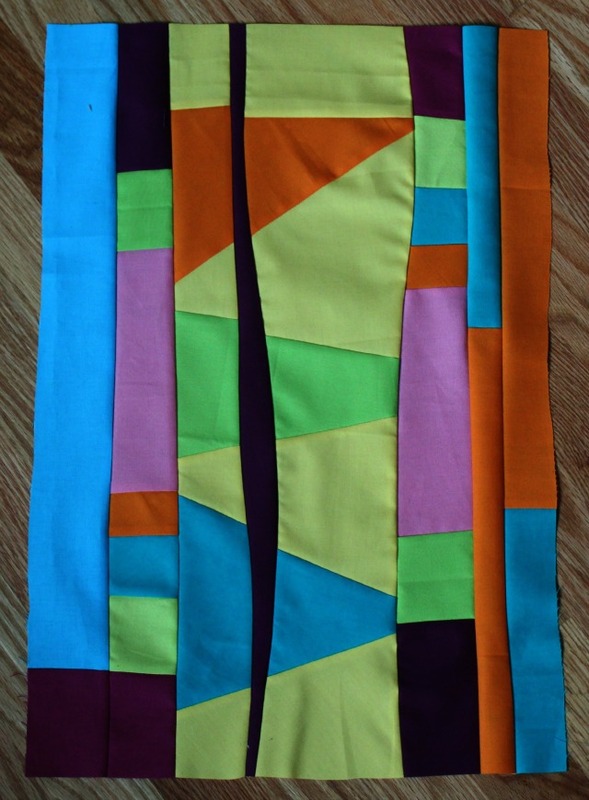 Hopefully it can fit into some nook or cranny when she goes to make her quilt. It's been a fun year with Bee Sewcial and I'm super pleased with the quilt I made from my month's blocks. I know a few changes are in store, but I'm definitely looking forward to the challenge of another round. you and your bee mates are so inspirational! great blocks. These are wonderful! I love the curved lines....something I want to play around with one of these days. I can understand why you're pleased with the quilt you created this year....it's truly a work of art. 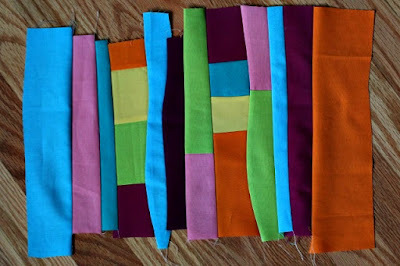 These are such great blocks, I am excited to make this quilt! Thank you.